Do you have a favorite radio station you always listen to in the car? I suspect most of us do, and for me personally that station is K-Love. Being a nervous driver, the inspirational music they play helps me to stay calm and collected on the road- and keeps me growing closer to God as I go about my day. I could listen to this song over and over again and never tire of it. Could there be any truer words? Don't we all at one time in our lives find ourselves wanting to do things our way rather than God's way. We think we know best and set out to prove as much. Eventually we have to reach that point where we truly are ready to let God take control. Between the beautiful lyrics and the amazing voice behind them, it is hard not to be moved each and every time. So, when I was given the chance to experience Plumb's all new album Exhale, I could not wait! 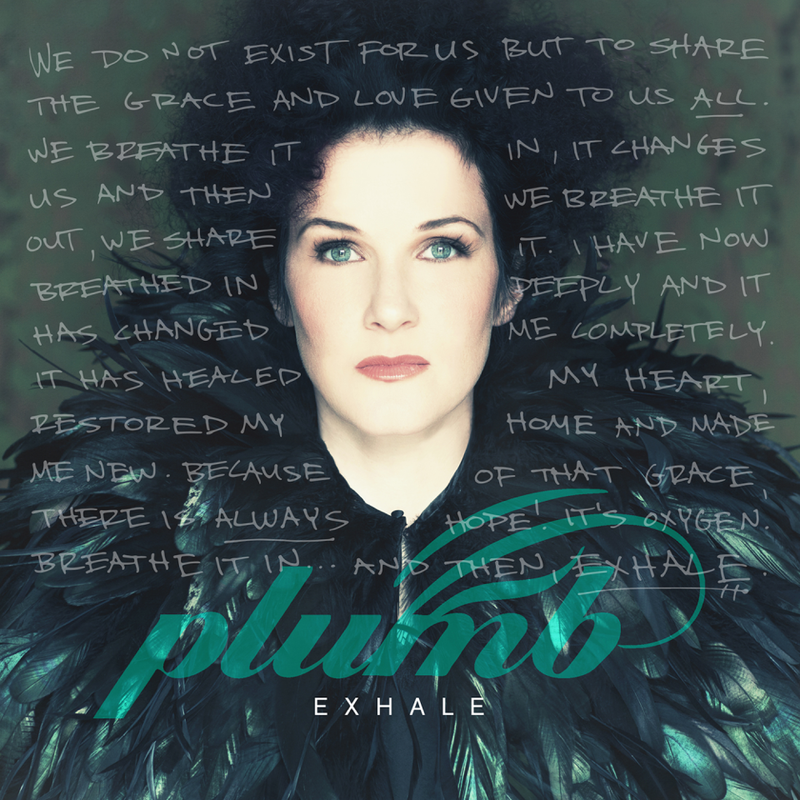 The defining concept of EXHALE was born from a sermon at Plumb’s home church, wherein her pastor Pete Wilson expressed the notion that the Church doesn't exist for itself. Rather, believers come to church to breathe in grace and truth, be changed, and then go out and “exhale” that hope into their surrounding community. If I had to sum up this album with just one word, that word would have to be AMAZING. I already knew that I loved 'Lord I'm Ready Now', so I had hoped that the rest of the album would live up to my expectations... I did not expect it to exceed them as it did! You truly cannot help but to fall in love with these beautiful words and beautiful voice throughout each and every song. Whether you are already a Plumb fan, or just a general Christian music fan, this is a must have for your Christian music collection. Exhale is available to purchase now at your favorite music stores and on iTunes. I didn't know about Plumb until today. I listened to her music on iTunes and really liked the Album. I really like the song by Josh Groban - "You Raise Me Up."